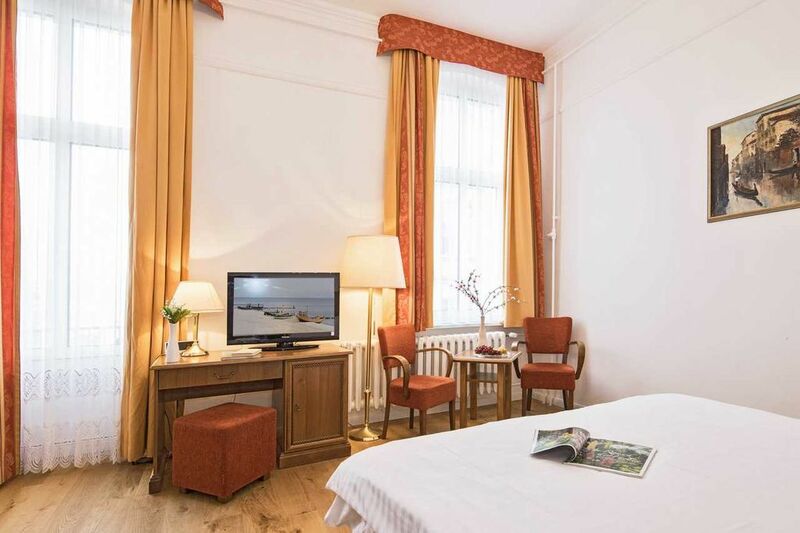 This room features a flat-screen TV with cable channels and a private bathroom with a shower / toilet and a hairdryer. The double rooms have partial sea view on the balcony. The room is located on the upper floor and is only accessible via a staircase. W-Lan in the room is available.